1 – Wear light costumes that are flame-retardant. – If your little ghoul is set on a dark costume, use reflective tape or glow sticks to enhance visibility. 2 – Ensure that any makeup used doesn’t cause an allergic reaction. – Test a small area well before Halloween. 3 – Lock all doors and windows, even if you’re handing out candy. – Many homes are burglarized on Halloween while parents are taking their children trick-or-treating. 4 – Make sure children know their address, phone number, and how to use 911 properly. 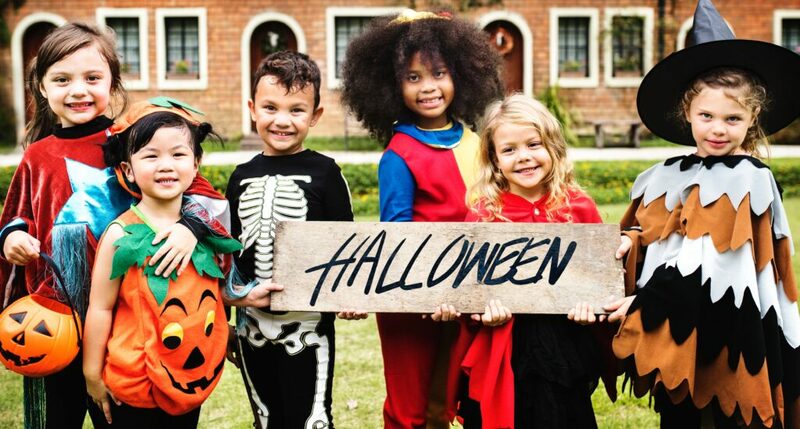 5 – The old standby is true – check candy for signs of tampering, any allergens your children are sensitive to, and any possible choking hazards. 6 -Lastly, children and adults are reminded to put electronic devices down, keep heads up and walk, don’t run, across the street. Florida’s 2018 back-to-school tax-free weekend! Vote “Yes” on Amendment 2!